This is our "Podcast Lab" where we incubate new shows and invite you to create and publish your own shows. 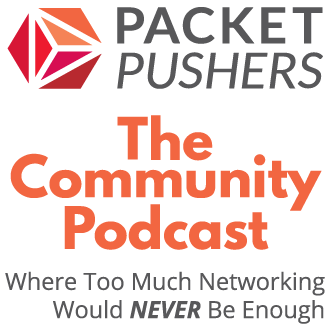 The Packet Pushers Community podcast is our incubator where we test new podcast ideas and let budding podcasters out there take a turn at the microphone. If you want to get in on the ground floor of a new show, subscribe and listen: you could hear the next big thing. If you’ve got something to say and want to start your own podcast, contact us and get ready to record. Check out the list of shows and play them in your web browser. For those who use RSS ! !